March 26, 1999 - March 26, 2019, mark 20 years from the largest genocide and massacre in Kosovo - in Krusha e Madhe, a village in the municipality of Rahovec. 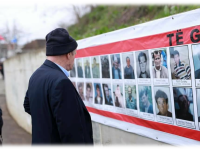 This article comes on the 20th anniversary of the massacre, commemorating and honoring those men, women and children from Krusha e Madhe, who gave their lives for the liberation of Kosovo, falling on the altar of Liberty. Now for 20 years in a row, the villagers of Krusha rightly demand that perpetrators of these massacres to come in front of justice and receive the deserved punishment. To the villagers of Krusha, March 1999 was an event that will remain unforgettable forever in the memory of those who managed to emerge alive from that war. 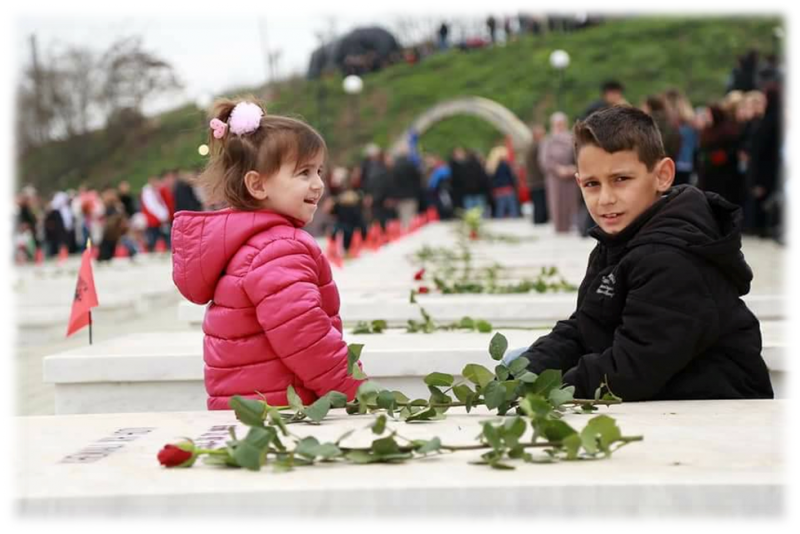 On the night of March 24, 1999, when NATO aircraft began bombing Serbian targets, Serbian criminals unable to cope with NATO and KLA forces sharpened their knives of crimes to massacre defenseless people of Kosovo Krusha e Madhe and its people would have this bad luck. On March 25 and March 26, large military forces rushed to the village to kill off its people. Hundreds of gun-to-tooth soldiers led by their superiors burnt Krusha and the surrounding villages home to house, expelling the residents on the roads, sending them once to a place and another to find a better place to shot and massacre them. Other criminals, organized in various military and paramilitary formations were at their disposal. Local Serbs became the chief criminals leading other Serbian criminals coming from Serbia. These criminals were horrific in appearance, with colored faces and various colored shawls tied to their heads. The worst thing happened for the residents of Krusha and the surrounding villages: paramilitary, police and military forces assisted by local Serbs killed and massacred 242 people. Out of them: 207 people killed and missing were from Krusha e Madhe, while 35 refugees were killed in our village; Out of this number, 142 have been identified; 65 have still been missing; amongst the victims 7 were children and 5 were females. The Hague Tribunal found in the village: 8 mass graves, 2 crematoriums, as well as many personal cemeteries. As a result of the war, 25 people were wounded, while 793 houses were burned. Amongst them the village mosque, and many other material and technical damages were made during the removal of Serbian forces. Many homes remained without any males, 140 widows and 548 orphans. Today Krusha e Madhe is the largest orphanage in Europe. On June 23, after the visit to the contingent of German soldiers in Prizren, Former German Foreign Minister Joschka Fischer along with the former Defense Minister Rudolph Scharping, also visited Krusha e Madhe, 1999, and he said: "This visit in Krusha e Madhe again clarified what we had fought for and that we had acted fairly with the decision, to confront Milosevic this time militarily and decisively.” Also the former British Foreign Minister Robin Cook during his visit to Krushe on June 24, 1999 said: "We will not close our eyes before this ... this is terrible. I'm too moved and emotional by this ... we are prosecuting those who have instructed these crimes and the systematic crime campaign” These influential personalities kept their words according to the evidence found for the massacre of Krusha e Madhe. The Hague Tribunal directly made the criminal Milosevic and his associates guilty like: Milan Milutinovic, Nikola Sainovic, Dragoljub Ojdanic as planners, instigators, that had ordered the preparation and execution of actions such as: murders, expulsions, cultural destruction of Kosovo Albanian religious sites, crime against humanity and violation of war laws or war customs. Also, many international and local personalities have visited Krusha e Madhe during these 20 years such as: The former Republican Congressman and Albanian lobbyist at the American Congress Mr. Joseph J. DioGuard; presently the president of Albanian American Civic League Mrs. Shirli DioGuard as well as the Adviser to Balkan Affairs at the Albanian-American Civic League; the proven Albanian friend and live hero, Ambassador Mr. William Walker; Former President of the Republic of Kosovo Mr. Fatmir Sejdiu along with his wife Nezafete Sejdiu; Former President of the Republic of Kosovo, Mrs. Atifete Jahjaga; Speaker of the Albanian Parliament Mr. Ilir Meta; Former President of the Republic of Albania, Mr. Rexhep Mejdani; Former President of the Republic of Albania, Mr. Alfred Moisiu; International journalists and many other personalities from around the world. Murat Jashari, a member of the emblematic JASHARI family, during his visit to Krusha e Madhe said "Nowhere can there be a better example of Albanian women than in Krusha e Madhe, where women challenged the pain and mentality, are raising their children and rebuilding the life". 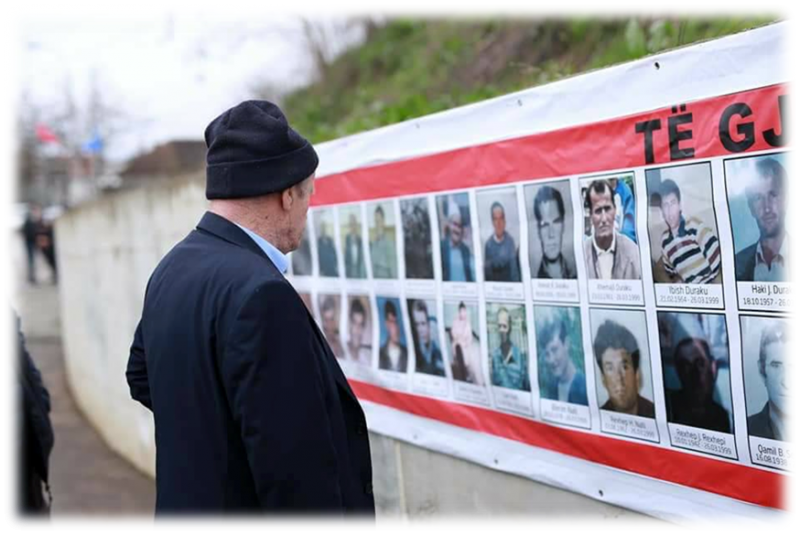 The biggest tragedy of Krusha that has been persisting for 20 years after the war, is the destiny of the MISSING persons. Krusha lacks 65 people, among them also an intellectual of National and International dimensions, Mr. Ukshin HOTI. The destiny clarification of this great activist of the national affairs is a trial of our political, intellectual, national and human consciousness. For the families of missing persons, their destiny is a deep wound that keeps the sadness of these families alive. The government together with other institutions keep the responsibility to be engaged in the clarification of their destiny. Serbia bloodied Balkans during the 1990s and is responsible for this. Serbia and the Serbs bear on their backs the burden of the worst crimes against humanity and ethnic cleansing in Kosovo. Villagers of Krusha rightly seek to be indemnified by the Serbian country. It has been rumored many times by heads of Kosovo institutions for indictments against the state of Serbia, but even though 20 years have passed since the end of the war, there is still nothing concrete about it. 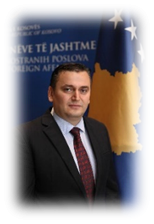 What happened in Krusha e Madhe and in Kosovo during 1998-1999, have to be in Kosovo files and of the international factor files in talks with Serbia. The normalization of relations begin from the repentance of the state that committed crimes. 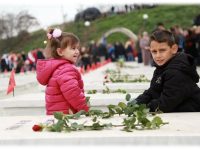 KLA war was the sacrifice of the people that brought freedom, which made the international public aware that a systematic terror and a violent deportation of the population of Kosovo was occurring and that Serbia was committing crimes and a genocide against humanity. The KLA war was a just war, a liberation war in defense of national, human dignity and identity. ETERNAL GLORY, GLORY TO THE HEROIC RESISTANCE OF MARTYRS OF THE NATION AND TO ALL THE VICTIMS FOR FREEDOM! Notes to the author Ma. Sc. Besnik F. Hoti - born in Krusha e Madhe of Rahovec, son of the martyr of the Nation - Dr. spec. Fahredin Hoti, during the war also lost his 13-year-old brother Kreshnik, and 70-year-old grandfather Shemsedin. 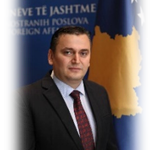 Former Deputy Minister of Foreign Affairs of the Republic of Kosovo, from November 2017 to February 2019; a PhD in International Relations at the European University of Tirana; former lecturer on: Conflicts and International Security at the College"VICTORY", in Pristina from 2010 to March 2016.